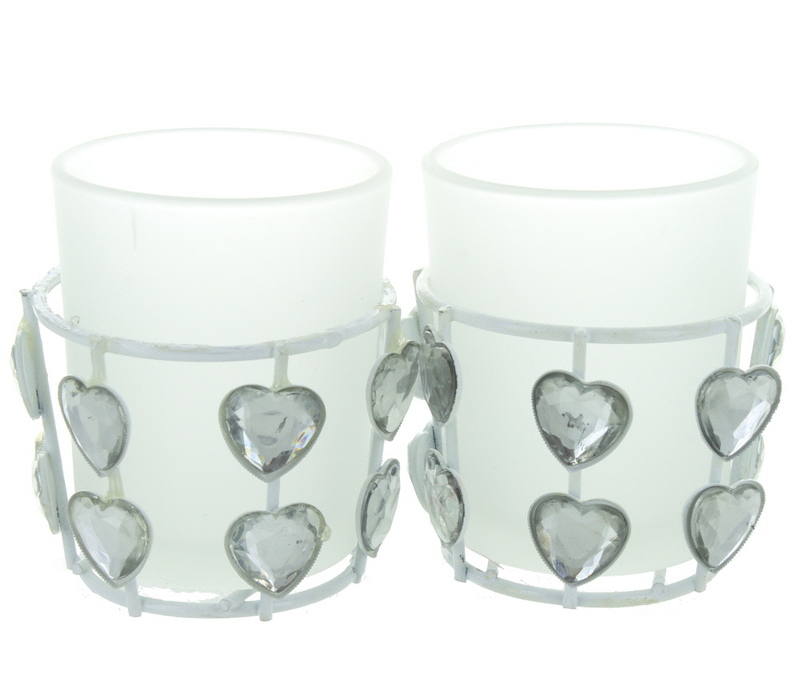 Heart Jewel Frosted Tea Light Holders (height 7cm x diameter 5.5cm). A set of 2 elegant glass and metal white tea light holders with romantic jewelled hearts. These glass tea light holders can accommodate all regular tea lights.